Headphones started out as heavy and hideous metal gears used for military and aviation purposes. Today, they are as much of a fashion statement as a pair of cans, allowing you to enjoy your favourite tracks in private. Headphones suddenly sell like hotcakes. 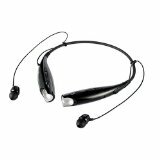 There are now various types of headsets to choose from, each having a one-of-a-kind design and multipurpose functionality. Looking for the right pair of headphones can be tough and exhausting especially if you do not know where to start. However, this complete buying guide for headphones will help you narrow down your choices and point you to the perfect pair that will suit your style and musical needs. The most beautiful thing about music is that it is ever evolving. Every time technology gives rise to a new headset gear, a fresh type of music is produced. Yet nothing is left behind despite the advancements. Even classical music found its way to the modern day and still stands as vibrant as it was centuries ago. These are all because of the dramatic materialisation of exceptional headphones in the market. Big thanks to the technology that made headphones available to the world, music lovers could jive to the beats and rhythm of the local opera house and jazz bars from the comfort of their own home. Folks do not need to purchase pricey tickets to enjoy good music. Before the Walkman Generation came along and revolutionised the devices in the 1880s, the headphones weigh roughly ten (10) pounds and were often used by telephone operators. Comfort was minimal while sound quality was poor. The headphones could also cause shock to the user since they were connected to batteries. It was only in the late 20th century that headphones became a stay-at-home gears that are useful and comfortable during LP music listening. Meanwhile, the latest generation of slimmed-down headphones started to inject high-resolution music or home-theatre sound directly into your ears in the 1900s. Headphones enabled us to listen through stethoscope-looking gear and indulge in a seemingly live music performance. The first set of cans was manufactured in 1910 by Nathaniel Baldwin and was sold to the U.S. Navy. In the 1950s, the first stereo headphones were introduced by Koss, promising worthy entertainment to ear canals. During this time, a full spectrum of sound was made available. A year after, the world’s first ever electrostatic pairs were launched in Tokyo, Japan. Since then, the headphone industry has been witnessing drastic improvements on the presentation and functionality of headsets. All of a sudden, ear cans had to be either portable or wireless. Styles suddenly varied from over-ear headsets to neckband gears. Supra aural headphones allowed the gear to sit on the ears, not around. Cordless headphones followed suit. Manufacturers used infrared signal to allow the user wander around the house up to 150 feet without worrying about a cord. Then, ear buds and canal phones that fit just into the ear started to emerge in the 1990s. This new style help block external sounds that mess up the music experience. Technology also allowed headphones to send music to your ears the way you wanted it to sound. You can now eliminate ambient noises that spoil the fun of listening. While headphones were originally designed to serve mainstream purposes, they serve other uses as well. You can use headphones to participate in webinars and watch videos from desktop. Today, manufacturers continue to revolutionise music and revamp technology to produce headphones that prioritise both style and sound quality. Indeed, headphones have come a long, long way. They brought reform in the field of music and technology. Even more so, headphones made it possible for people to listen to their favourite songs without subjecting people around them to their musical preference. But headphones are more than a listening medium. With the right type and style, headphones can also be a source of fun and relaxation. In the 1980s, the first solution to people prone to headphone hair was presented – in-ear headphones. Both the ear bud and the in-ear headphone made their way onto the headphone industry in the 80’s. 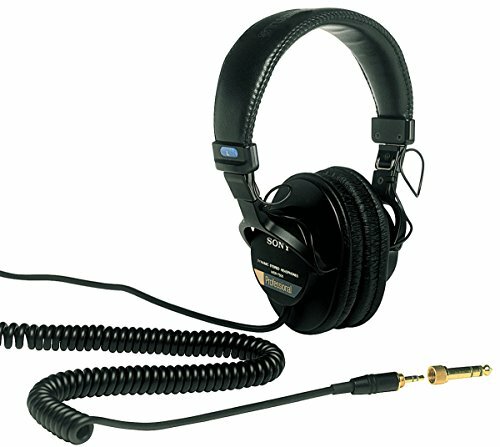 To this day some of the great headphones designs live on – see retro headphones. However, it was only when Steve Jobs launched the white headset for Apple products that ear buds reached the peak of popularity. The tiny earpieces are either placed on the outer ear or inserted into the ear canal. Some models include clips to secure a more tailored fit. Using highly functional ear buds, you can listen to music and watch in-flight movie in maximum comfort. They are ultra compact and definitely lightweight. Some models even feature a microphone and track navigation controls integrated into the cord. 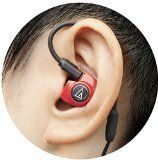 Unfortunately, the sound quality and bass response of in-ear headphones are relatively lower in performance compared to full-size models. Some models are even difficult to insert and remove, making them less ideal for users who listen to music over long hours. In-ear monitors (IEMs) have only been around since the late ’80s. They only became affordable about two decades ago, revolutionising the music industry in many ways. Basically, IEMs are ear devices used by musicians, audio engineers, and audiophiles to decipher music. They are also a great partner when listening to a personal mix of vocals and stage instrumentation for live performance or recording studio mixing. IEM is a monitoring system that provides various blends of audio sources to a performer on stage. Traditionally, floor monitors were represented by loudspeakers positioned on stage directed toward the performer. However, IEMs may be more distracting than helpful to the performer’s singing depending on the audio system. In the 1980s, the first solution to people prone to headphone hair was presented – in-ear headphones. Both the ear bud and the in-ear headphone made their way onto the headphone industry in the 80’s. However, it was only when Steven Paul Jobs launched the white headset for Apple products that ear buds reached the peak of popularity. 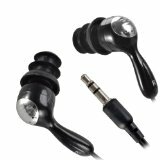 Ear buds are commonly given as freebie headphones with portable players. 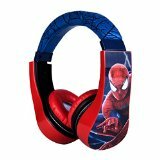 Although offered for free, they usually get junked in favour of higher-performance headsets that provide sound quality that can match full-size models. When you’re buying a new pair of headphones, check a buying guide for headphones. Closed headphones isolate you from the noise around you, while open headsets produce better sound at the expense of external sounds seeping through the cups. Choose depending on where you want to use them, and how much you need to isolate yourself from the undesired noises of the outside world. Open and close headphones are almost the same in style. The headband rests on your head while the cups rest on top of your outer ears. On-ear headphones can be inexpensive portables or high-end home models. 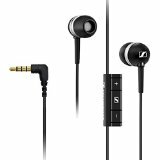 While on-ear headphones can have open or semi-open designs to cover the ears, some opt for fully sealed circumaural models. It has an excellent sound isolation that will not leak sound to people around you. However, office employees still find open on-ear headphones more beneficial. They are ideal for those who see advantage from hearing the outside world. Additionally, on-ear headphones provide outstanding comfort. Compared to full-size models, they are less prone to overheating even when used all day. They underscore a microphone and track navigation controls attached on the wire. Extra ear pads are often provided by the manufacturer. Sound engineers and specialists describe this type of headphone as “circumaural.” This description encompasses any headphones with ear cups that completely enclose your ears. Because of their large size and excellent acoustic isolation, full-size headphones are often suited for home use rather than as a portable option during travels and commutes. Wireless headphones are often used in small apartments with thin walls that don’t permit loud media from speakers. They are also ideal for people who are always on the move, tired of a dangling cord getting in their way. No more tangled wires to trip you up. 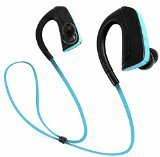 Also, Bluetooth headphones as a reasonable auxiliary device for workouts and portable use are relatively cheaper than high-end, full-size models. Bass is the low sound that you hear in your music. It adds warmth and depth to your music listening experience. 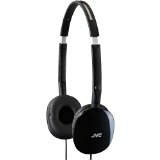 The headphones are better if they have better bass, but it still depends on what style of music you prefer. Some headphone manufacturers provide gears that emphasise the bass so you can feel the music thumping in your head. Music featuring more bass in it such as rock music obviously needs special bass headphones. These headphones are great if you are not very particular in having a well-balanced accurate headphone. Except for a couple of high-end models, in-ear headphones do not stand a chance against full-size headsets in terms of deep bass response or visceral dynamic range. With noise-cancelling headphones, you can maintain privacy and concentration at work. Its anti-noise feature can reduce background noise, such as strong winds, airplane motor, and noises from public transportations. Noise-cancelling headphones do not completely eliminate the outside world, there are only better models that significantly hush the noise of airplanes’ air-conditioning systems. Such type is good for travelling on planes, trains, and buses. Noise-cancelling headphones come in all forms and styles, from full-size to simple in-ear pairs. You no longer have to pump up the volume to overcome background noises. You can now listen at lower levels and hear more low-level detail in your music, while significantly reducing pressure on your ears. There’s a significant difference between DJ and studio headphones. DJ headphones have a punchier bass and an extra sizzle in the treble. Their sound is more vibrant so it is easier to hear what’s happening in a loud environment. Meanwhile, studio headphones have a natural accurate response. The sound is controlled across the whole frequency range. This feature makes the music more suitable for mixing, recording, and other music arrangements. Headphones with microphones allow hands-free usage. You can occupy yourself with other tasks while talking over your headset. It is also easier to take notes during a call. 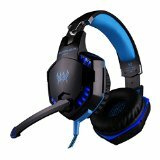 Gaming headphones are engineered to cater to avid computer gamers. They are built to magnify the experience of chatting with your friends as you play. 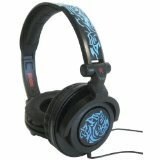 Aside from producing clear and balanced sound, gaming headsets are designed to provide comfort for long periods of wear. Some models offer virtual 7.1 surround setups. Headphones are not solely for adults to enjoy. Kids need headphones, too. This is why manufacturers started to build durable headsets for kids with small ears. But as an adult, you are responsible for protecting their hearing. Choose the cans that do not only fit your child’s head, also pick something that will not damage their ears. Choosing a pair of headphones for a child is more than the looks, durability, and cost. Know how the headphones will affect the child’s hearing.